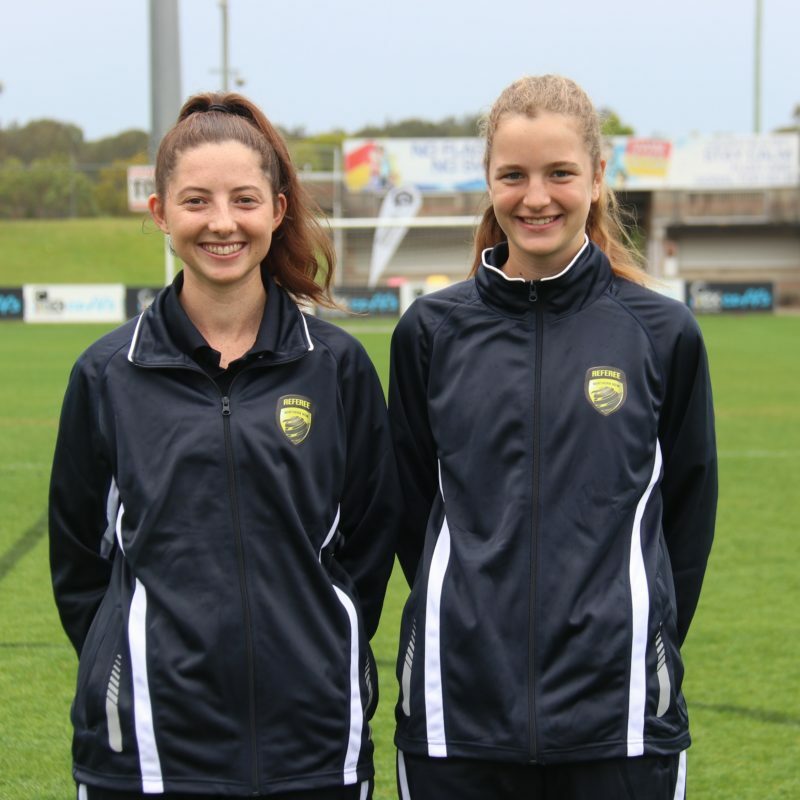 Two of Football Mid North Coast’s talented young match officials, Fiona Bagley (Kempsey) and Fiona Gottstein (Hallidays Point) received a high level coaching last week in Coffs Harbour. The girls were selected to represent FMNC at the Northern NSW Girls Talented Official Program (TOP) Camp which was held in conjunction with the NNSWF Girls State Championships from 3rd to 5th of October. The TOP Camp held each year provides a valuable development opportunity for up and coming referees across the state. The event is used to coach and view some of the best young match officials, as well as to give them an opportunity to strive for future selection to officiate at FFA national tournaments. 20 year old Bagley and 15 year old Gottstein both enjoyed the experience and are looking forward to season 2019. Bagley, whom only became a referee this year, commented “I am thankful that I had the opportunity to attend the TOP Camp this month. The camp allowed me to develop my skills as a referee and as an assistant referee. I met so many wonderful and encouraging individuals and the staff involved in the camp were very supportive and down to earth which made the camp an enjoyable experience. Not only was the camp enjoyable but also motivated me to continue to improve and seek further training”. Gottstein completed her second year as an official this season with FMNC and echoed Bagley’s comments. “I learned heaps to improve my refereeing at the TOP camp, thanks to all the friendly coaches and peers also attending the camp. It was an awesome experience which enabled me to improve my refereeing greatly. All the instructors were nice and professional, helping us all with everything they could. I also made lots of new friends”. FMNC Club and Referee Development Officer Justin McIntyre said both were excited about their opportunity. “They’ve both come back from the weekend excited about the camp and thankful of the chance to attend. Both are talented young officials coming through the ranks and opportunities like the TOP camps really help with further development and fine tuning” said McIntyre. He added “the season hasn’t ended just yet for the girls. They have both been selected to officiate as assistant referees on the Newcastle Jets W-League trial match this Sunday in Taree against a FMNC Select side”.